My Heritage and AncestryDNA are the two biggest rivals when it comes to ancestry DNA testing with genealogical complementation. Both companies offer state-of-the-art ancestry DNA tests designed to explore your ethnic percentages and tell you more about your direct paternal and maternal lines. They also feature extensive genealogical databases with billions of historical records in the form of old documents, personal journals, newspaper articles, and written stories. Choosing between the two DNA testing providers can be pretty challenging, so we made this detailed My Heritage vs. AncestryDNA comparison. Once you have a parallel overview of all the most important features of these two DNA testing companies, you can easily make the right decision regarding your needs. MyHeritage provides a direct-to-customer ancestry DNA test with an at-home testing kit based on cheek swabs. The processing part of the test examines 690,000 genetic markers across your autosomal chromosome pairs. This means that MyHeritage doesn’t check your gender chromosomes and can’t provide you with stand-alone results regarding your direct paternal or maternal lineages. The company also offers more than 8.96 billion historical records and over 40 million family trees. The regions covered by the test and the size of the database are currently unknown. AncestryDNA, on the other hand, opted for a saliva-based at-home testing kit. The test checks 700,000+ genetic markers and explores all 23 pairs of your chromosomes. Your final report will include ethnic estimate based on 350 worldwide regions and you’ll be able to search for genetic matches across 7 million + profiles in the company’s database. MyHeritage’s final report is usually generated within 3-4 weeks. AncestryDNA test results will arrive 6-8 weeks after your DNA sample reaches its processing facility. MyHeritage will never disclose your personal information except in some cases determined by law. The company will collect your identification and family info, your DNA samples and results, and your usage of the website. The price of MyHeritage ancestry test is 99$, but you can also get a free report by transferring your raw DNA data from other companies, which is a great financial benefit. You can start off with a free plan and work your way toward the Premium (9.17$ per month) and Premium Plus (10.95$ per month) subscriptions. Access to the genealogical database is charged 13.27$ per month. In other words, MyHeritage offers excellent value for the money invested. AncestryDNA doesn’t feature subscription plans and all you’ll ever have to pay is 99$ for the main test. However, its father company Ancestry.com LLC is the biggest genealogical database on the planet, featuring numerous brands you can use to uncover all the secrets of your past. To put it simply, Ancestry offers the most detailed ancestral reports and information for the price. MyHeritage was envisioned as a genealogical database, but it outgrew its original frame and implemented a genetic component into its business model. Its genetic processing rivals and even surpasses most of the competitors in terms of speed, accuracy, and scope. AncestryDNA needs no special introductions. It is an integral part of the world’s largest genealogical conglomerate and features high-quality ancestry DNA testing. 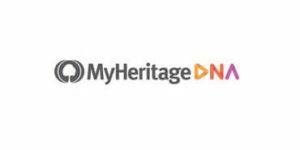 Keeping in mind its popularity, you can see just how far MyHeritage has progressed over the last couple of years when it can stand on equal ground with giants like AncestryDNA.